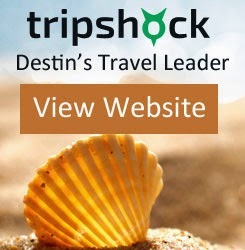 Destin Travel Deals: Destin Private Fishing Charters - Receive 1 Free Hour of Fishing When You Book 4 Hours. Destin Private Fishing Charters - Receive 1 Free Hour of Fishing When You Book 4 Hours. October is the month for fishing in Destin, FL. Join one of Destin's finest captains on a deep sea fishing adventure. Experience is not necessary nor will you need to bring any supplies. Everything is included besides food and drinks. For a limited time receive an additional hour of fishing on our 6-pack fishing vessels (Oct-Feb 2015). Prices start at $135/hour. Book a charter in October and receive free entry to the Destin Fishing Rodeo! If you catch the big one, you may receive a big cash prize!